Over 25 students who have got admission to Dr Kariyappa School of Arts and Design Management run by the Vogue Institute of Fashion Technology located at Richmond Circle in the city have started a whole night protest alleging that the management has cheated them. The senior police officials from Cubbon Park subdivision visited the spot and filed a case against the management, DCP Devaraj (Central) said. According to students who have got admission to postgraduate diploma in Infrastructure Management in July 2018 are alleging that the Institute has not affiliated to any of the universities and cheated them by saying directly affiliated to All India Council for Technical Education (AICTE). "Even six months after the admissions were made no class has been conducted. 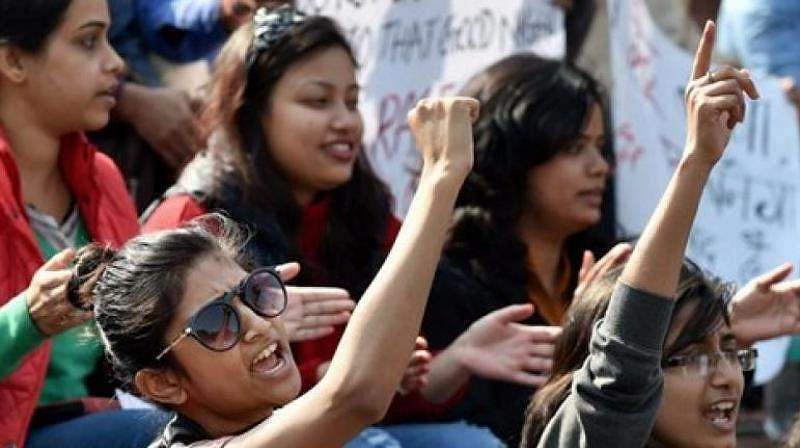 Some of the students have withdrawn admissions and even we are demanding to refund the fee paid and original documents," said one of the students taking part in a protest. There are over 38 students in the batch and it is the first batch of students for this particular course. "We have filed a complaint before the jurisdiction police station three months ago but no action has been taken," said students. Students have decided to continue the protest until they get their fee and documents refunded. There are students in this Institute across the nation including Darjeeling, Gujrat, Madhya Pradesh etc. However, when contacted the authorities of the college said that there are no such issues going on. Dr RSS Rao principal of the Institute said, "there is no such issue going on as alleged by students. In the beginning, there were issues like shortage of staff and it was corrected later. We have not violated any of the norms and we are directly affiliated to AICTE."